October is Breast Cancer Awareness Month, and Pentel is supporting in a big way. If you buy a product from Pentel’s pink line, they will donate 5 cents/pen to the Breast Cancer Research Foundation! They’re willing to donate $15,000 but they need people like you to go out and support their products during October. Do your part to help make Breast Cancer a thing of the past! 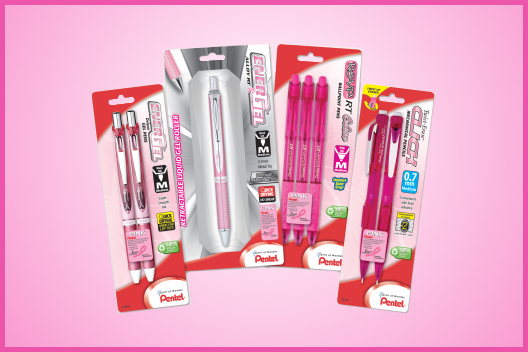 Look out for Pentel’s Pink Ribbon products in your office supplies store, or order them online here.